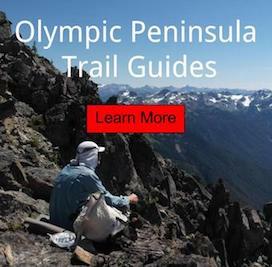 Backpacking the south Olympic coast with kids. We planned to do this hike as a 4 day hike into the Olympic National Park, so we got our overnight permit and bear canister, and headed out the door. I have been wanting to take my son on a backpacking trip for some time. This now would be the perfect chance to make it all happen. The weather and tides all alined with our schedule, to help make this trip a success. I feel it is important for kids to be outdoors; now more than ever. There are very crustal hands-on skills not being taught by video games or other technology. It is very important that basic developmental skills be passed on to each following generation. During our four day trip, time was passed by learning skills such as shelter building, hydration, fire building and endless other things. My favorite part of the trip was spending the majority of the time barefoot. The only time we put on our footwear, was for beach rock travel. His most memorable moments were bald eagles, seals, tide pools and even a lone coyote that ran by our camp; early one morning. After the short hike in on a primitive trail. We reached the coast. Hearing the crashing waves and the sound of sea birds was a true highlight. We were all excited to walk on the sand; after leaving the forest. Overall this was a great family trip. We also hiked to Cape Alava as a family trip on a future day. Both of these adventures are great for kids.